Dive into the refreshing hues of playa quartz! The deep ocean blues keep you cool no matter where you wear this gem. Nature provides a bounty of amazing rock crystal quartz. The very best is naturally eye-clean, providing the material a cool and icy clarity not readily found in every gemstone. Through artisanal techniques, playa quartz is carefully crafted from this gemstone. 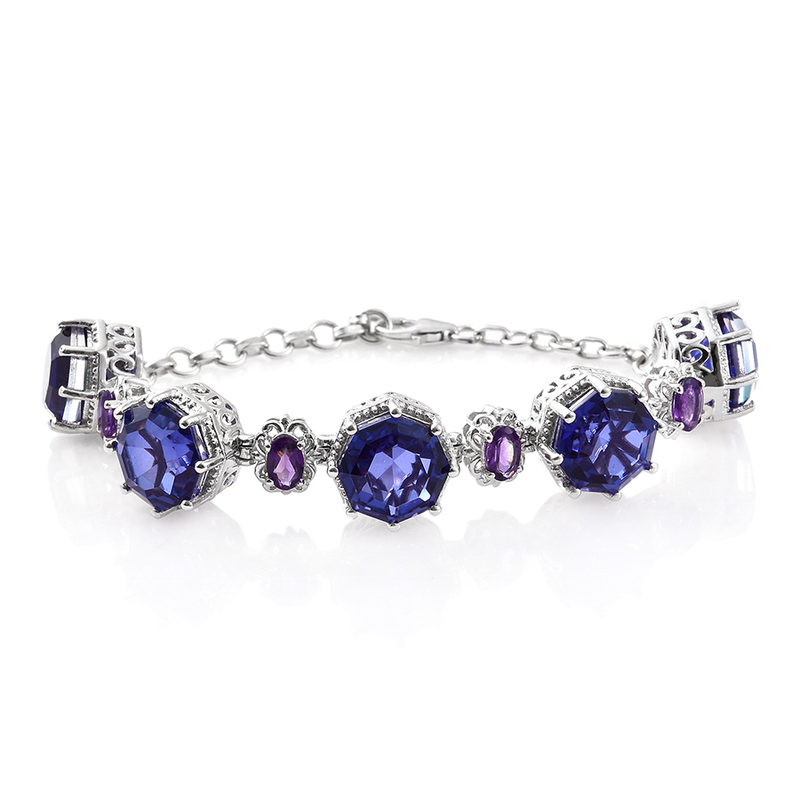 Infused with a deep blue rivaling fine tanzanite and sapphire this quartz triplet presents a refreshing new way to collect blue gemstone jewelry. What Color is Playa Quartz? Playa quartz possesses a deep oceanic blue color. 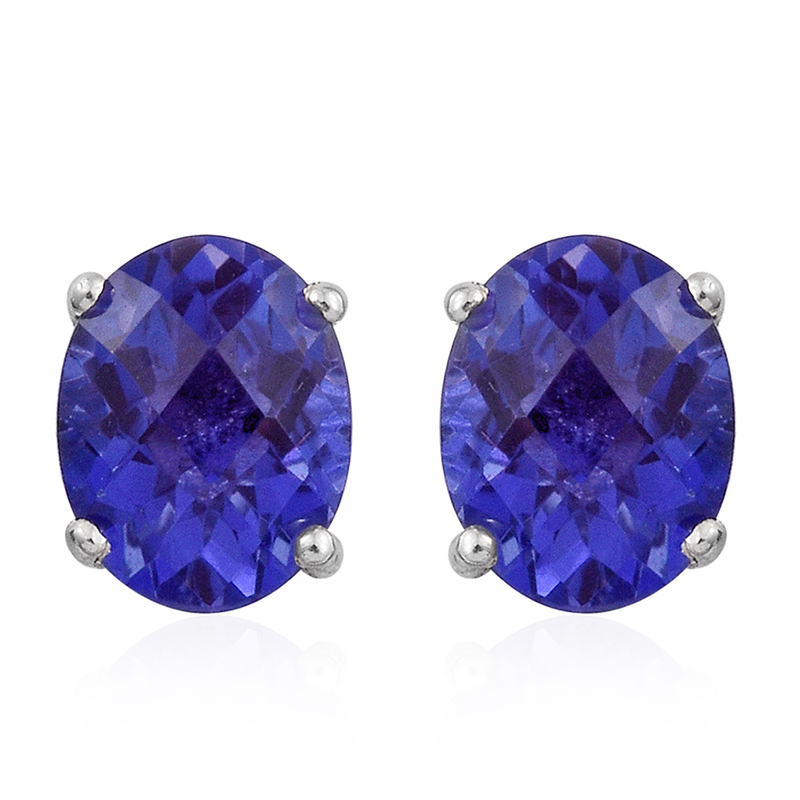 Comparable to AAA tanzanite and Ceylon sapphire, these gems offer a great way to add these desirable shades to your gemstone collection at a fraction of the cost. 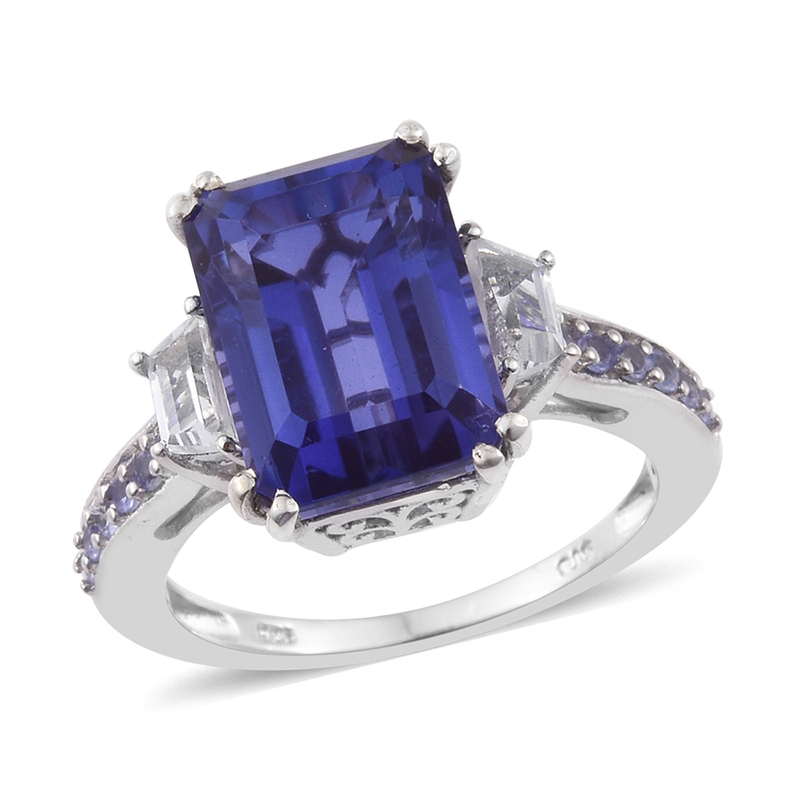 As an assembled triplet gemstone, play quartz benefits from an even saturation of color throughout every jewel. Quartz is a robust gemstone, perfectly suited for daily wear. With a rank of seven on the Mohs scale of hardness, the gem is nicely resistant to scratches and abrasion that might be encountered in a person’s routine. Playa quartz also inherits a good toughness, helping it resist the inevitable bump or bang. After polishing is complete, stones have a brilliant, glass-like luster that’s easy to care for with occasional cleaning. In addition, these gemstones are eye-clean, meaning that any imperfections in the gem are only viewable under ten times magnification. Thanks to crafting from clear rock crystal, playa quartz is available in a wide variety of popular shapes and sizes. 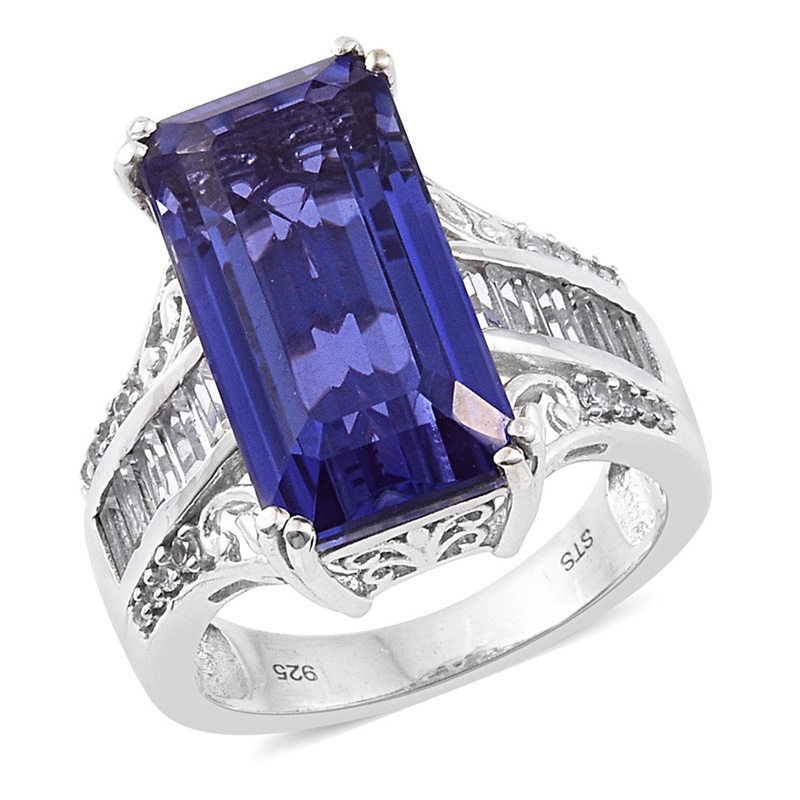 This is especially convenient, as similarly colored stones like tanzanite and blue sapphire not only become rarer in larger sizes but also significantly more expensive as well! It’s unusual to find tanzanites and sapphires above five carats, making playa quartz a great alternative for any person desiring a larger blue jewel. Is Playa Quartz a Birthstone? • Though playa quartz has a similar blue hue to tanzanite and blue sapphire, it is not a birthstone in the modern birthstone list. Despite this, some might choose to substitute a playa quartz for sapphire, the September birthstone, or tanzanite, a December birthstone. Rock crystal quartz is one of the most common minerals found on the Earth. Despite this, not all quartz forms equally. Only a relatively small amount of naturally occurring crystal is of sufficient quality for use in assembling triplet gemstones. Experts often agree that the best icy clear rock crystal comes from Minas Gerais, Brazil. Shop LC leverages our partnerships with miners across the globe to bring you the best genuine gemstones and sources our supply of clear quartz gemstones from this Brazilian state. How is Playa Quartz Mined? 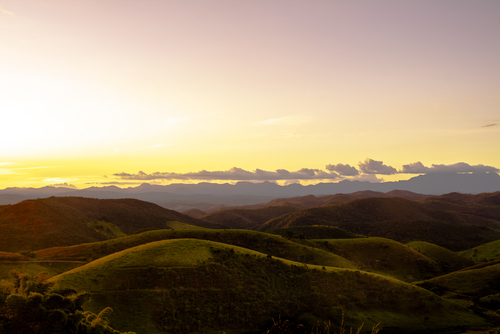 The Minas Gerais state of Brazil means “General Mines” in Portuguese. Living up to its reputation, the majority of Brazil’s gemstone wealth comes from this region. The terrain is varied, but often quite rugged, limiting mechanized operations to older, more established mines. Throughout the state, combinations of modern and artisanal techniques are employed in securing the rich mineral wealth beneath the Earth’s surface. Once gemstone mining is complete, rough specimens are carefully graded through an extensive quality process, with the clearest and most pure rough stones reserved for use in crafting triplet gemstones. The crown and pavilion of the future gem undergo shaping separately, being joined together with a colored bonding agent to create the full stone. Once bonded, the girdle is polished off to complete the fully assembled triplet gemstone. From there, the freshly created playa quartz is ready for setting into amazing jewelry! • Playa quartz has a deep and refreshing blue color. • Clear rock crystal quartz comes from Minas Gerais, Brazil. • Playa quartz is an assembled triplet gemstone.